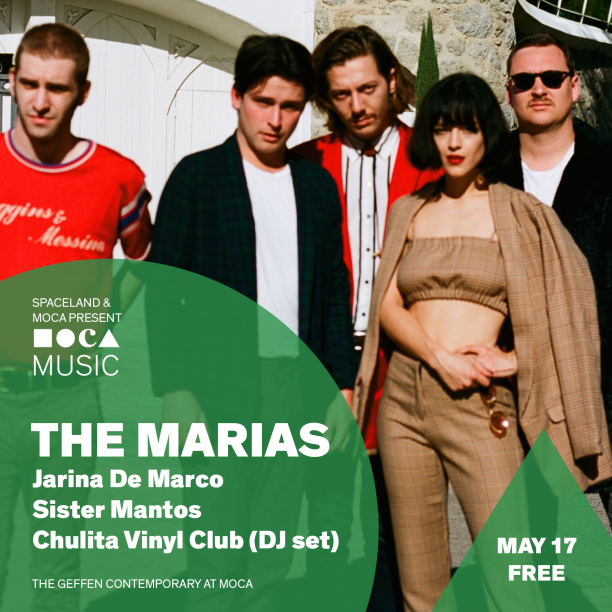 MOCA Music is an ongoing music series in collaboration with Spaceland Presents that features new and emerging music at The Geffen Contemporary at MOCA in Little Tokyo. MOCA Music’s May 17 performance features THE MARIAS, Jarina De Marco, Sister Mantos, and a DJ set from Chulita Vinyl Club. Alongside the performances will be food trucks, drinks, and regular museum programming. The MOCA Music series is FREE with RSVP, priority entry for MOCA members.